Before winding up the dispute of Apple and FBI over encryption, another buzz on the Whatsapp Snooping is now the hot debate on the court bench. In the wake of WhatsApp's move to offer end-to-end encryption to text messages as well as VoIP calls made through its app, federal authorities have not been able to execute wiretapping warrants on WhatsApp users. Though the US Department of Justice was discussing how to proceed with a continuing criminal investigation, the government is considering legal proceedings similar to those involved with Apple. According to the New York Times, as recently as this past week, a federal judge had approved a wiretap in a criminal investigation, but WhatsApp's encryption hindered investigators. Since any court officials have not made a final decision, the Department of Justice is very keen to drag Whatsapp into the Encryption fight war zone similar to the ongoing San Bernardino case. In San Bernardino case, the DoJ was granted a court order to force Apple to create a special version of iOS that could defeat the encryption on a seized iPhone 5C belongs to one of the dead terrorists named Syed Rizwan Farook. Apple has vowed both publicly as well as in court papers to fight the court order as intensely as possible, citing security concerns, but the battle between Apple and the FBI is not ending anytime soon. Why was WhatsApp not Targeted Before? When Whatsapp was launched in January 2010 by Brian Acton and Jan Koum, it did not initially concern about any privacy features. So there were no opinions to implement cryptographic services at that time. This relieved the Department of Justice and federal agencies as they could see a clear pathway for snooping WhatsApp users without any legalities. WhatsApp, now owned by Facebook, had also been criticized before for not adopting a reliable end-to-end communication that secures its user's privacy. Soon after the tremendous growth of Whatsapp, Facebook acquired the popular messaging service for $19 Billion in February 2014 and WhatsApp partnered with Open Whisper system and developed an end-to-end communication two years back. This development thwarted DoJ officials and others federal authorities from eavesdropping WhatsApp users' communications for snooping purposes. Currently, Whatsapp is not involved in any of the criminal cases prevailing in the court, except a Brazilian drug trafficking case, but still court officials debate to foresee the chance of this widely used app adoption by criminals shortly for coordinated attacks. As noted by the Times, Wiretap order from the federal judges could not penetrate the end-to-end encrypted communication, as these were used as a valuable investigative tool in the olden time, when people used landline phones that were easy to tap. 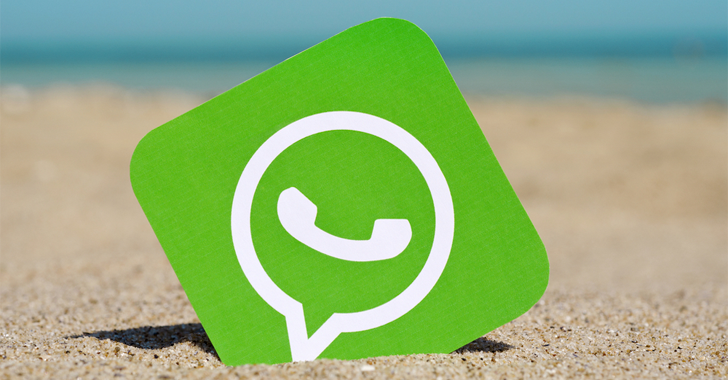 Over the past year, WhatsApp has been upgrading encryption for its messages and VOIP calls. All WhatsApp messages sent between Android devices are end to end encrypted since past two years, and between iOS devices since last year. This simply means that neither WhatsApp nor even its parent company Facebook can access their users' contents in plaintext, making it impossible for DoJ as well to read or eavesdrop, even with a court's wiretap order. So, this is the time to scrap such orders from the United States Federal Laws. However, the government has always seemed to enforce such laws on companies that provide privacy protections to its customers. Recently, a Brazilian Facebook executive was arrested for the company's failure to comply with a federal court order to turn over WhatsApp data. Apple is also fighting one such court order with the Federal Bureau of Investigation (FBI). What if the FBI wins the Case? If Apple is going to head node a "Yes" to the FBI officials, there will be no way out for the users to secure their privacy and the feds will force Apple to unlock more iPhones. Moreover, if Apple turns to agree, the Federal officials would next dismantle the Whatsapp privacy by enforcing such laws. As a result, again new apps would mushroom in the digital world which quotes "Security and Privacy" in their products and would again end up in the melodrama of Federal Officials. Slowly, this would vanish the privacy of netizens and adversely affect the businesses, customers as well as the US government who rely on strong encryption to help protect their information from hackers, identity thieves and foreign cyber attacks. Moreover federal officials do not realize the fact that their data would also be open for snooping, even if they issue any private "No-Trace" agreements with any agency. So let's see if any privacy concern movement is being made against Whatsapp or any other tech giant that ensures its users security and privacy in near future.